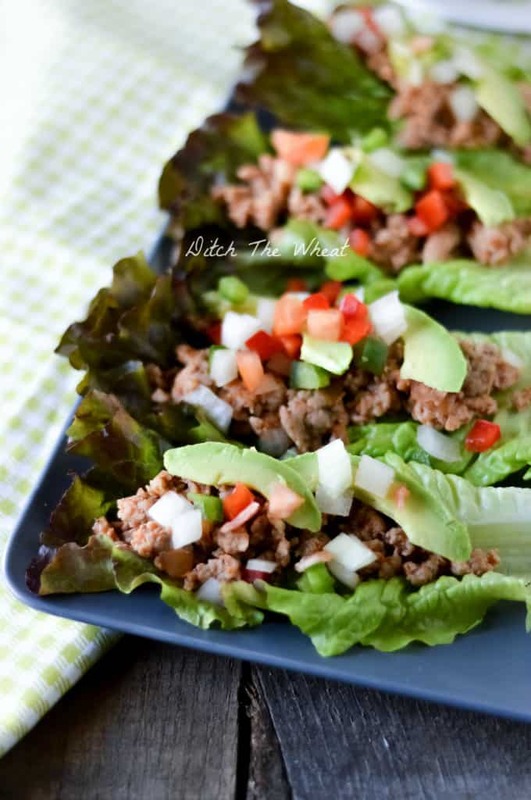 I made this paleo ground pork tacos recipe on the fly for dinner. I couldn’t remember what the recipe was for taco seasoning so I threw together some spices and it all worked out. Then I made it again for breakfast the following day. 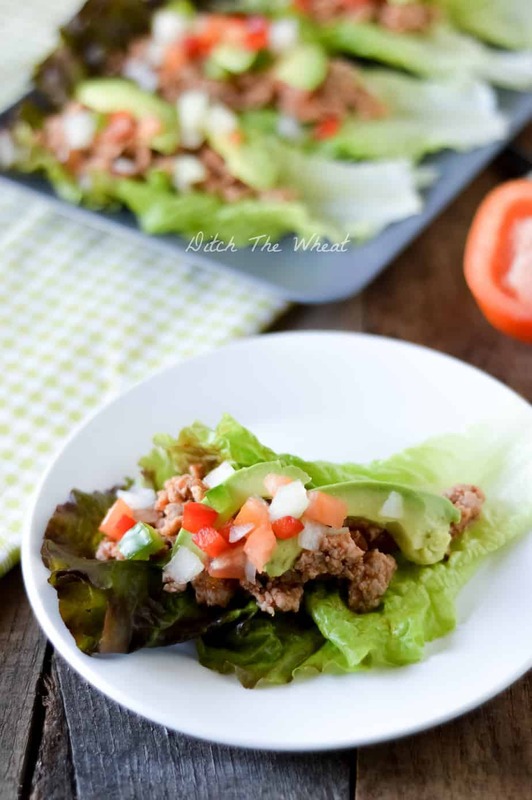 If you need a cheap breakfast/lunch/dinner I present you with ground pork tacos on lettuce wraps. 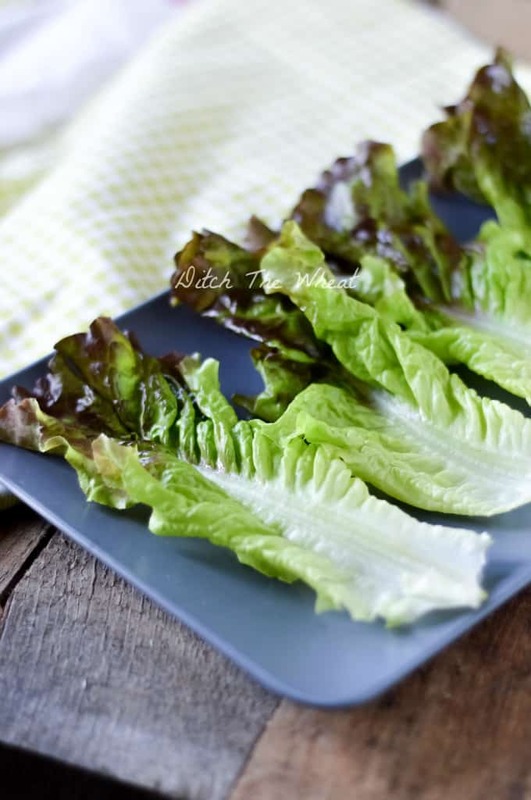 Another thing, I am really digging using lettuce wraps for everything! It has become my preferred vehicle for transporting food. taco toppings like diced green peppers/red peppers/avocado/onions etc. In a small bowl, mix using your hands, the ground pork and all the seasoning (except the salsa). 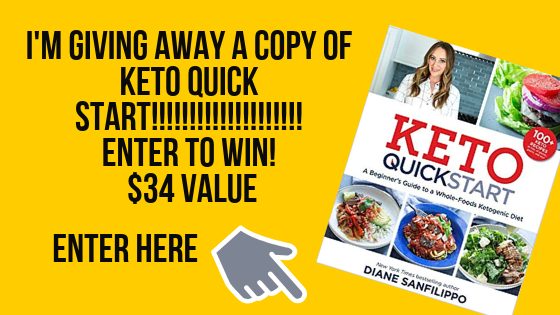 Place the meat in a frying pan and turn the heat to medium. Constantly stir the meat making sure to breakup any large pieces. Once the meat is cooked drain the fat from the pan. Add the salsa and mix.